TAG CADET CHAMPIONSHIP ON THE LINE THIS WEEKEND FOR ANTHONY GANGI JR. 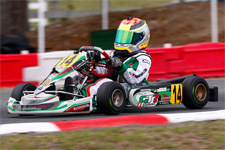 Continuing his stellar 2013 karting campaign, GT7 Motorsports pilot Anthony Gangi Jr. will look to add Formula Kart Productions Florida Winter Tour (FWT) TaG Cadet Champion to his already impressive resume. 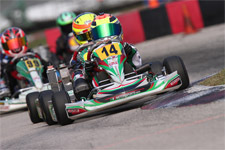 Taking to the Ocala Gran Prix facility this weekend for the final rounds of the Formula Kart classes, Gangi Jr. enters with a sizeable lead in the TaG Cadet championship points. Putting on a dominating performance to date in the TaG Cadet ranks during 2013 FWT action, Gangi Jr. enters with all four final wins to his credit. 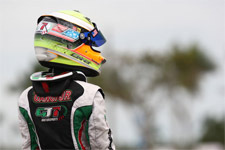 Starting off at the Palm Beach International Raceway (PBIR) in January, Gangi Jr. rose from his fifth place qualifying position to stake claim to both heat races wins and a seven second victory to start off his campaign. The following day saw the Tony Kart pilot score the pole position, and take yet another heat win as well as the feature victory. 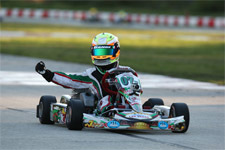 Heading to the Homestead Karting Complex for the second event weekend in February, Gangi Jr. was able to again take the pole position in Saturday's action and follow up with the heat two win and take the final victory after a racy battle. 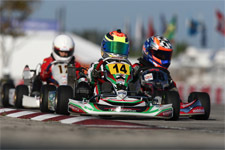 Sunday's Homestead round finally saw Gangi Jr. complete the day's sweep, taking top honors in all on track action. With two rounds left at the Ocala Gran Prix facility this weekend, Gangi Jr. enters as the overall points leader with a 376 advantage before drops. Having earned a feature win in Ocala during the 2012 competition, and earning third place in the championship, the rising star certainly has momentum and past experience on his side to secure the coveted championship title. 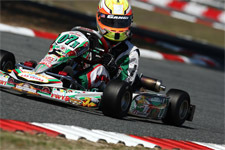 The 2012 SKUSA SuperNationals TaG Cadet Champion is set to take in unofficial practice at the beautiful Ocala Gran Prix facility with his GT7 Motorsports crew before hitting the track Saturday, March 16 and Sunday, March 17 for two full days of racing action as he guns for the TaG Cadet title. Live video, timing and scoring, as well as audience interaction is available for each Florida Winter Tour weekend via the FWT Live! Broadcast page: http://floridawintertour.com/fwtlive/2013.